Welcome to American Veterinary Hospital! 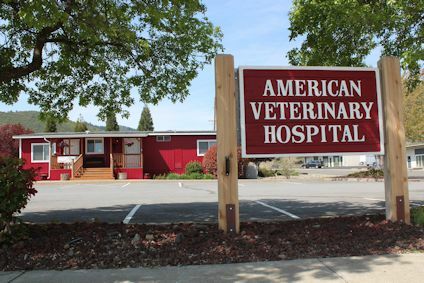 American Veterinary Hospital is a full service companion animal hospital. We are located in Yreka, California. We serve the communities of Yreka, Montague, Weed, Mt. Shasta and Hornbrook, along with the other communities of Siskiyou County. Our mission is to provide quality veterinary care throughout the life of your pet. Our services and facilities are designed to provide routine preventive care as we assist you in keeping your young and elderly pets healthy. Because our mission is quality medical care, we believe in preventative health education, early detection of disease and treatment according to diagnosis. We also provide comprehensive medical and surgical care as necessary during your pet's lifetime. At this site, you will find information about our practice philosophy, our services, helpful forms to assist you in scheduling appointments, and an extensive Pet Medical Library for you to search for additional pet health care information. We offer Home Again MICROCHIPPING for the safety of your pet. See our Information Page or ask for details. We gladly offer CARE CREDIT as a payment option! Approval will give you the added option to pay for your pet care in installments. Click the "Care Credit" link below for more information and to apply online. Thank you for taking the time to read about our veterinary practice and the services we offer. We welcome your comments and suggestions. Please contact us at (530)842-5719 for all your pet health care needs.